What could be the best gift for people who are bookworms and gun enthusiasts at the same time? Bookends that are shaped like pistols, of course! This Western style decorative pair of bookends is perfect not just for holding up books, but also as a shelf, desk or room decor in personal offices, libraries, and work desks. Most of us have multiple interests. Some of us love movies and books, while some of us love video games, and some of us love guns and books too. 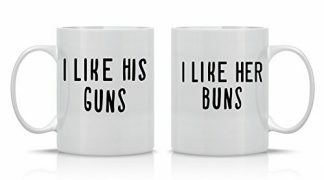 If you have a friend who is a gun enthusiast and a bookworm at the same time, it may seem impossible to find the perfect gift that can suit both of these interests. However, you have stumbled into the right place! 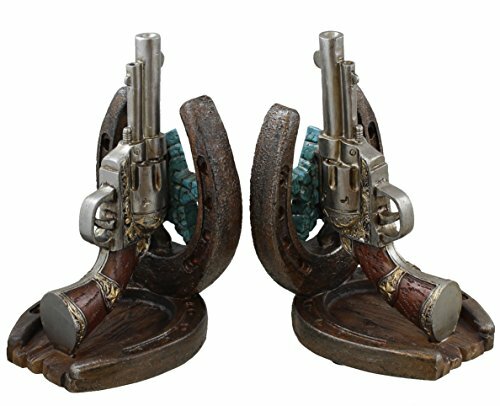 This Western-themed bookends set with a pistol shape is the perfect pair that can reflect their personality and interest in guns! And best of all, it keeps their favorite books in place. 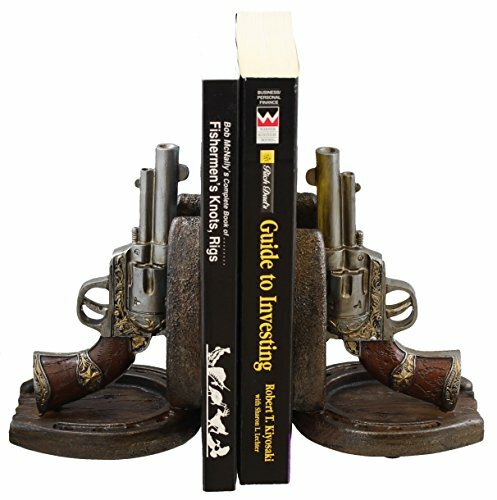 Surprise your friend, uncle, brother or father who can’t get enough of guns, hunting, and reading with this Western-themed bookends set. Pistol shaped design with a horseshoe. Bookends set comes in pairs (2pcs). Carefully crafted and hand-painted to reflect details and sharpen the look and feel of the material. Aside from merely holding up books (like what bookends are really for), this western-themed set also doubles as a great accessory to cabinets, shelves, and even desks! It is great for rustic-themed rooms, home offices, bedrooms, and even a personal man-cave. 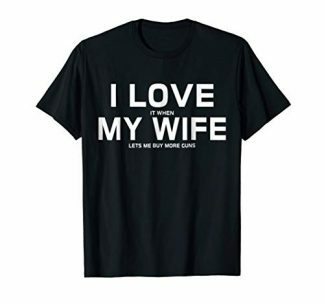 Best of all, this gift is suitable for any occasions. Whether that be for your friend’s birthday, or if they are celebrating a career promotion, or celebrating a house warming party. It can also be given during the Holidays, on Father’s Day, or if you just need to give something as an appreciation gift on a random day. Surprise a friend, brother, uncle, partner, or father with this Western-themed bookends set! They will certainly take pride in displaying their favorite books with a touch of attitude and personality. It reflects their interests in guns, and everything about a Western cowboy, rustic aesthetic!